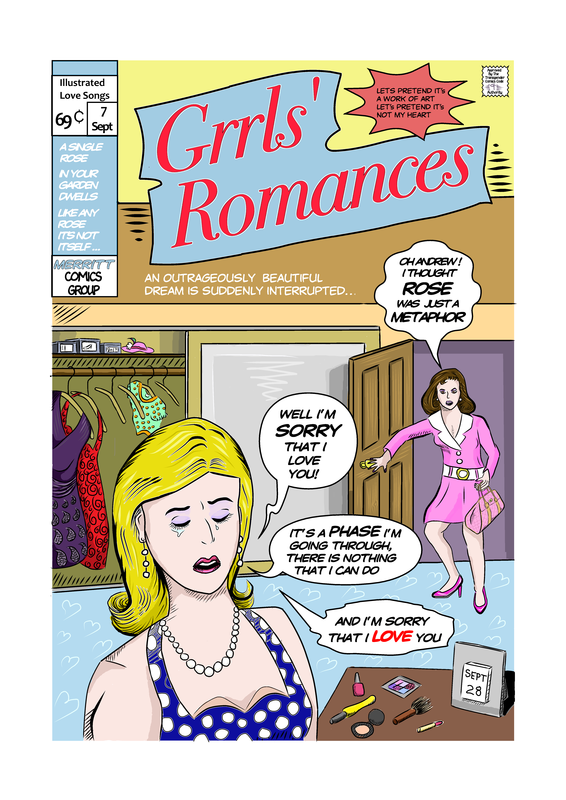 Have just finished a one page comic for the Illustrated 69 Love Songs project being run by Julia Schelee. It’s an illustration for the song ‘I’m Sorry I Love You‘ – which is my second favourite song on the whole album (Busby Berkely Dreams being my favourite and it’s immediate predessesor on the album). 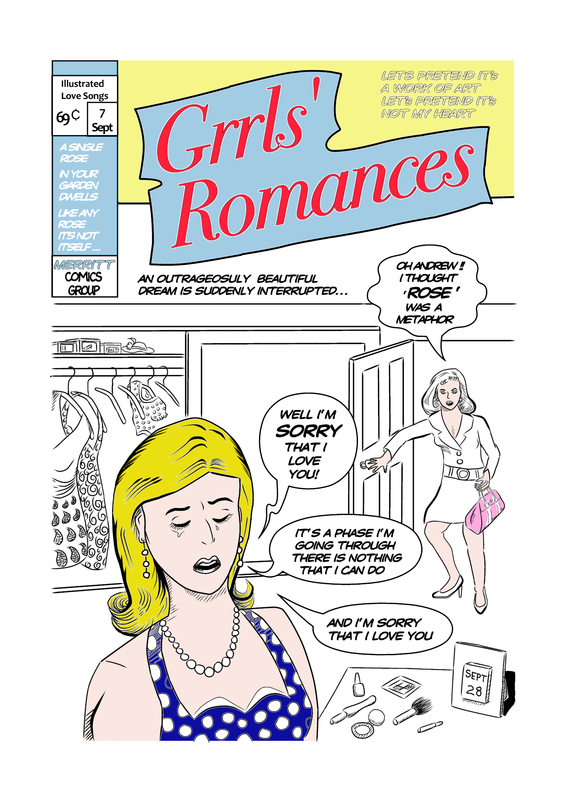 I started taking inspiration from the song’s period (the slightly hollow, gritty, scuzzy early 60’s surf style sound) and opted to try a homage to the Simon & Kirby Romance Comics of the period, a great selection of which you can find republished as ‘Young Romance‘ by Michel Gagne. 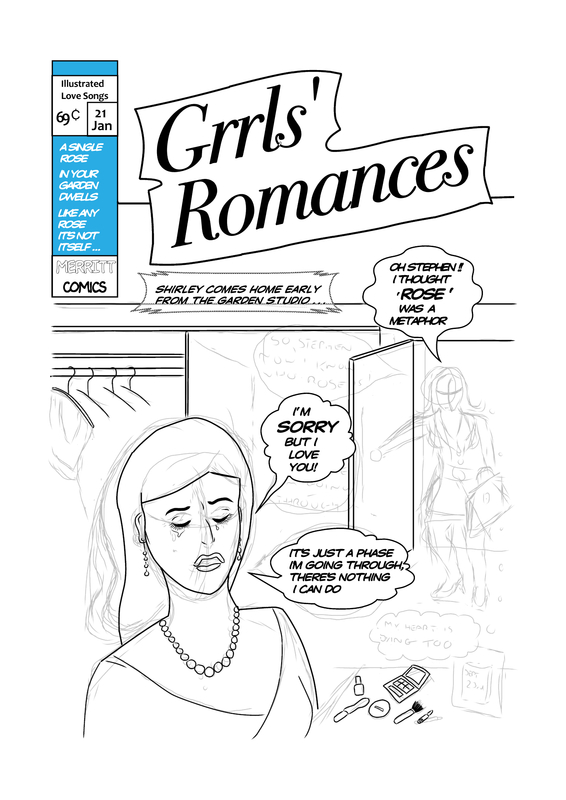 I’m no Jack Kirby but it’s been really instructive looking at all the elements and trying to do justice to the form. 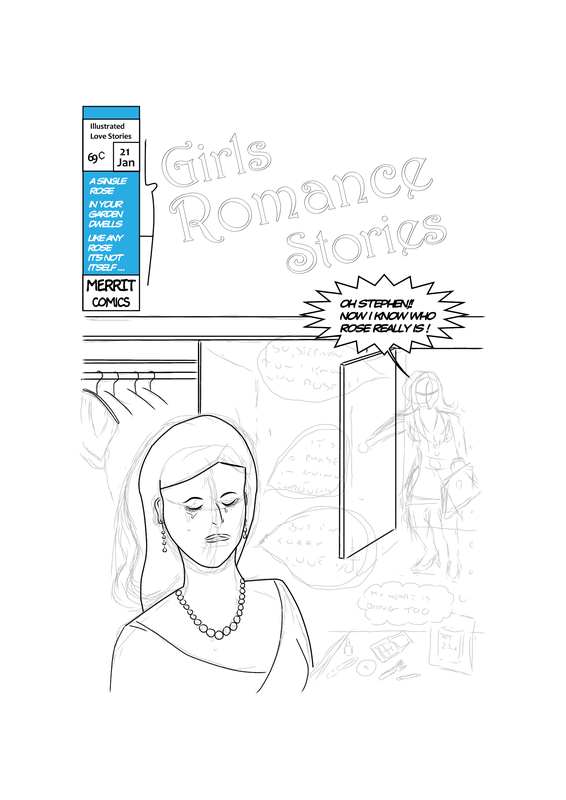 From balancing the page through to colour scheme, fonts, facial features, backgrounds, logo’s and hair styles. It needed to be modern at the same time – hence the handbag being a Mulberry mini Bayswater and make-up based on current range items, Max Factor Mascara etc. The ‘story’ of the piece comes from the latest Magnetic Fields single ‘Andrew In Drag‘. Other album and song references in the design too – the price, the release date (7th Sept 1999), the nod to ‘When Summer’s Gone’ with the calendar showing 28th September. 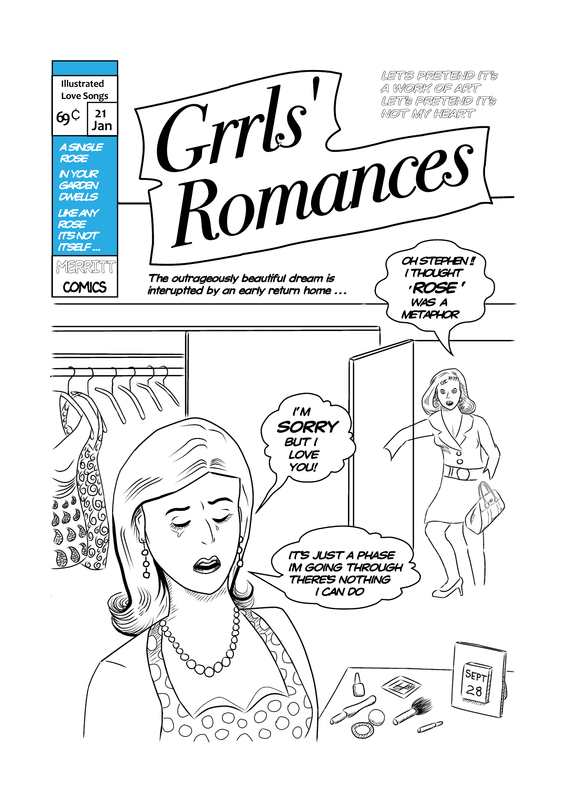 Had wanted to do a second page that moved on from the melodrama of discovery (and the deliberate imagery of closets) to explain that love can be a many gendered thing ( a reference to the book ‘She’s Not The Man I Married’) – but time and my ability to work quickly enough was against me. I’ve absolutely LOVED drawing this. I had to do it with stolen hours and late at night – around my work and family life. Probably took about 15 hours – done in chunks of 30 mins / 2 hours max. What are you but a warped, frustrated young man?